Insure-tech companies from China and USA are the most advanced in applying digital technologies to acquire, manage and deliver healthcare to their member base. They created another layer between traditional insurance companies and members that will give them competitive advantages in the near feature. At this year’s Frontiers Health in Berlin, the leading digital health event in Europe, Research2Guidance presented key take-aways from a recently published global study on innovative digital business models for payors, as well as showed the existing gap in digital health insurance innovation solutions of the USA and Asia vs Europe in front of key industry players and global digital health community. (You can explore key insights from the panel discussion at Frontiers Health 2018 event here). In the last couple of years insure-tech organizations have successfully ventured into the insurance industry with novel business models incorporating the latest digital technologies with members’ unique data. The creation of a personalized member experience leads to a valuable long-term engagement, reduction of pay-out costs and ultimately a better health outcome for the member. Linking financial rewards to healthy and cost-saving behavior is just one form of encouraging each member to stay healthy and better manage their own health. Gaining traction is pertinent to facilitating value-based care beyond claim management and doctor finder digital solutions. Insure-tech companies have built their business models around the complexity of the health insurance eco-system. They have started with the payor landscape and strategically entered into other parts of the healthcare industry. The target of their digital health solutions and services are not only their members, but also other stakeholders outside the payors organization. For example, doctors – they can advise their patient, respectively the health insurance member which tariff plan is best for them in their particular health case, because it will be reimbursed by the insurer. Having a more holistic approach to their members’ health needs and facilitating smoother and incentivized member behavior change is crucial for keeping a competitive edge. Partnerships between established healthcare insurers and start-ups are an important channel for innovation. Digital innovation affects the whole health insurance eco-system. Both parties entering the partnership need to have a perfect match between the core business, needs and future long-term strategy and the digital innovation solution/service that uniquely and profitably compliments the members value proposition. There are interesting member acquisition strategies mainly from the USA and Chinese digital insurers with much more personalized and flexible health insurance services/products. Europe is a bit slower in embracing digital innovation and doing bolder moves to create state-of-the art more personalized digital solutions to better serve their members. One example that stands out from China is the P2P model which is used to motivate members to sign into groups based on their interests. The membership fee is just one dollar. The uniqueness of this model is in the fact that the group decides whether the collected group money can be used for someone’s needs. This business model allows payors to investigate deeper their members’ needs and interests and tailor services and solutions based on these key insights with special health insurance plans. 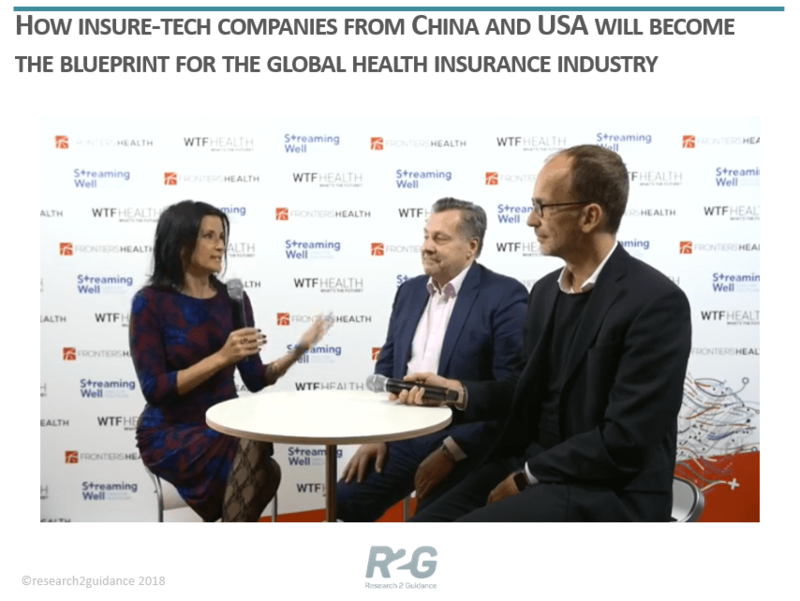 To dive deeper into how insure-tech companies use innovation to transform the health insurance industry, we invite you to listen to the interview of Ralf Jahns, MD and Rainer Herzog, VP at R2G with Jessica DaMassa, WTF Health conducted during this year’s Frontiers Health 2018 event. How digital technologies in Asia are integrated into payors business models? What start-ups need to know in order to make their solution attractive to a health insurance provider? What kind of questions payors need to ask the start-ups and look for in their business models to have a successful/beneficial partnership? Which are the health conditions that a payor should venture into to have the fastest impact on their balance sheet? 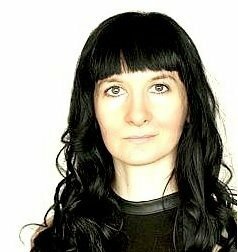 How will a meaningful partnership and cooperation between a start-up and a payor look like? There is more to it. The recently published report “The 10 Disruptive Digital Business Models For Health Insurers” details the ten most promising digital business models for payor organizations worldwide and inspires many more new business models, concepts, ideas and service offerings for digital health insurers.